Chukku kappi is very special coffe very common in Kerala. Let us have a look on it. Chukku kappi is a traditional South Indian beverage which is very spicy and sweet. It has a rich aroma that even opens nasal blocks that are caused due to cold and give relief to throat infections also. 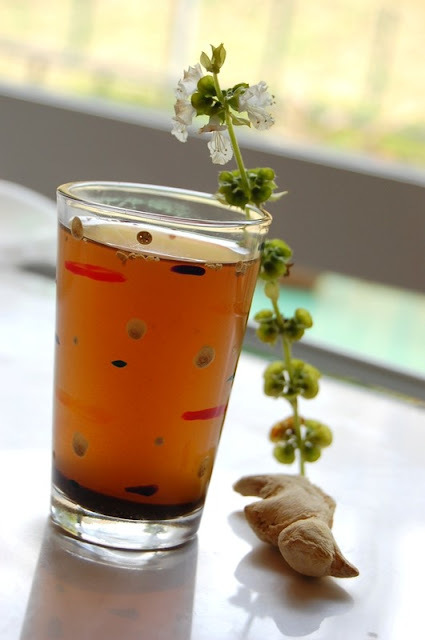 It can be used as very good remedy for slight cold or fever. The botanical name of Chukku is Zingiber Officinalis. Chukku helps in digestion. It is used in almost all the Ayurveda medicines. According to Ayurveda, indigestion is the root cause for all kind of diseases. Boil water in a vessel, mix well all the above ingrediants (without coffe powder) and boil well. Now add the coffee powder. Ehen water is reduced to 2/3, remove from fire & serve it hot.